1. A balconette top and high-waisted bottom that has an old Hollywood, "I just stepped off the set of a black-and-white film" look to it. Vintage-inspired pieces = a true source of joy. 2. A bikini set complete with cutout bottoms and a cropped off-the-shoulder top. Say hello to the perfect boardwalk attire — just add some denim shorts and no one will know that you've just stepped off your beach towel to buy some snacks. 3. A fully-lined string bikini available in 26 colors, of which you will want them all. My condolences to your wallet, but my congratulations to your summer wardrobe. 4. A racerback bikini set you're absolutely going to fall in love with. At the very least, it'll ~leaf~ a lasting impression. 5. A bandeau and high-cut bottom so chic, it'll be impossible to not take a mirror pic as soon as you try it on. Look at you! Channeling your former Myspace self! 6. A strappy two-piece because little black dresses are great and all, but little black bikinis? An *absolute* necessity. 7. A halter top and high-waisted bottom featuring *gasp* adorable tassel trim that looks as if it just walked straight off the runway and into your Amazon shopping cart. 8. A bikini set that I wish I was currently wearing on a boat somewhere in Greece, champagne in hand and not a care in the world. Yet here I am. At a desk. Why is the above fantasy not my current reality? Life can be so cruel. 9. 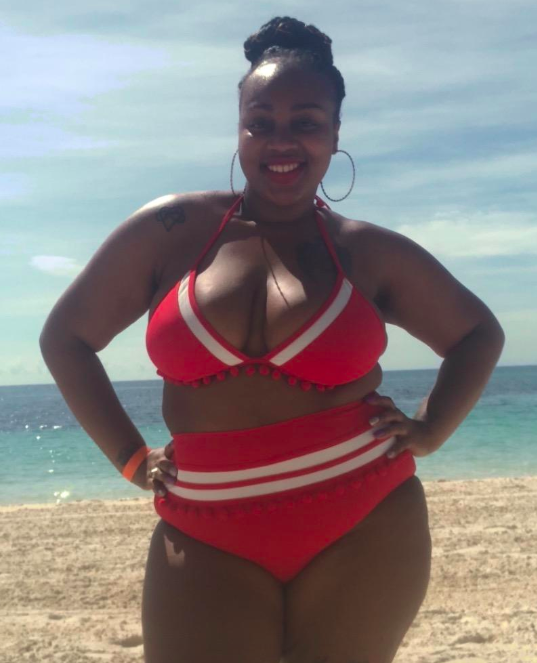 An underwire bikini top you'll want to buy ASAP because a) it's B-L-A-C-K meaning it pairs perfectly with any colorful bottom and b) it's bra-sized, which ensures the perfect fit. 10. A scoop top and high-waisted bottom sure to inspire philosophical debates. Do you actually *need* to wear real clothes? If you live in a warm climate, can you get away with wearing a bikini everywhere? Can you wear this particular bikini everywhere? Why not? 11. A criss cross bikini set that should not be overshadowed by a cover-up, thank you very much. It's too gorgeous to be covered by any clothes at all. 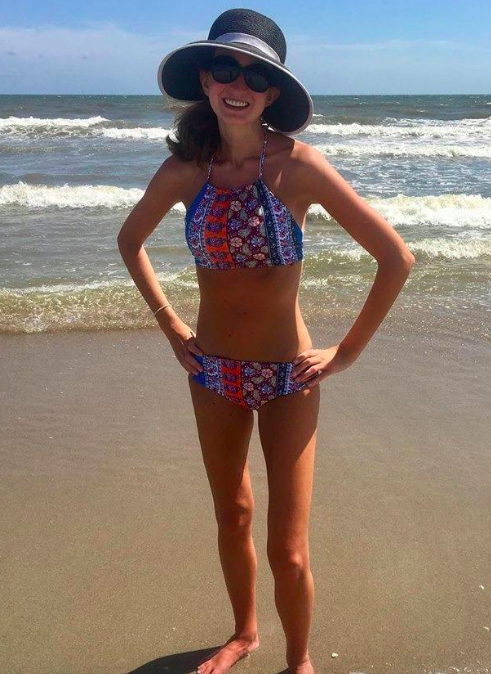 Promising review: "I am in love with this bikini! I bought this for my study abroad trip and I think this is going to be perfect. It’s well made, and looks just like the picture. Plus, the bottoms have pretty good coverage compared to other swimsuits these days." —Sierra R.
12. A ruffled bikini set that will have you humming 🎶 itsy bitsy teenie weenie white and black polka-dot bikini 🎶 as you slather on that SPF. 13. 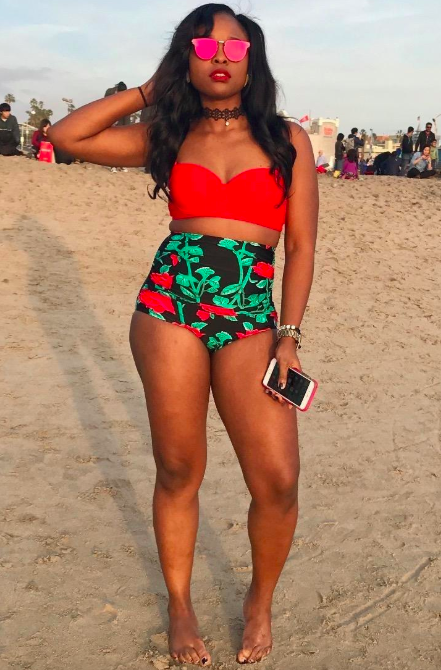 A push-up top and high-waisted bottom guaranteed to have random strangers coming up to you at the beach just so they could ask where you got your suit. Look at you go! Making friends and such. 14. A strappy swimsuit here to turn you into an overnight Instagram sensation. Get ready to quit your boring 9-5 (WOOOOO!) and turn into a full-time influencer with this gorgeous getup. 15. A triangle top and tie-waist bottom sure to become your go-to swimsuit this beach season. This style is super no frills, no fuss, and B-A-S-I-C — but in the words of One Direction, that's what makes it beautiful. 16. A ruffled top and high-waisted cut-out bottom that will get you a ton of compliments. In fact, you'll start telling people to "cut it out" with all the praise after a while. Your ego can only inflate by so much. 17. A halter top and high-waisted bottom known for encouraging spontaneity. 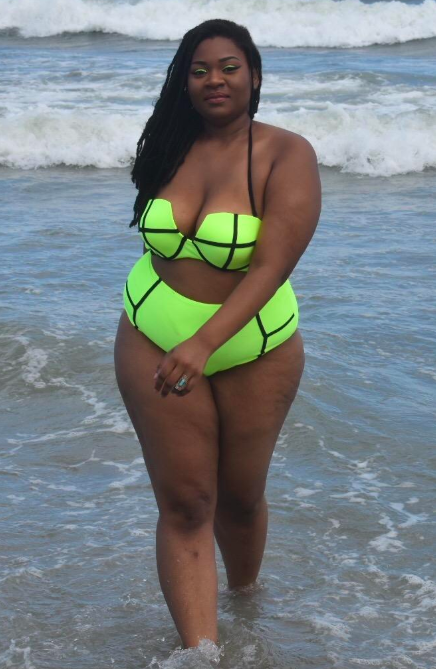 Will you randomly book an all-inclusive vacay right after trying this bikini on? Yeah, probably. 18. A tankini suit you'll want to wear on next water park outing. Scared as HECK that a body part will pop out whilst on a ride? Take that fear and shove it to the side with this fairly full-coverage two-piece! 19. A two-piece suit featuring a boyshort for anyone who absolutely hates stringy, super cheeky bottoms. These provide a bit more coverage without making you feel as if you're wearing bermuda shorts in the pool. 20. 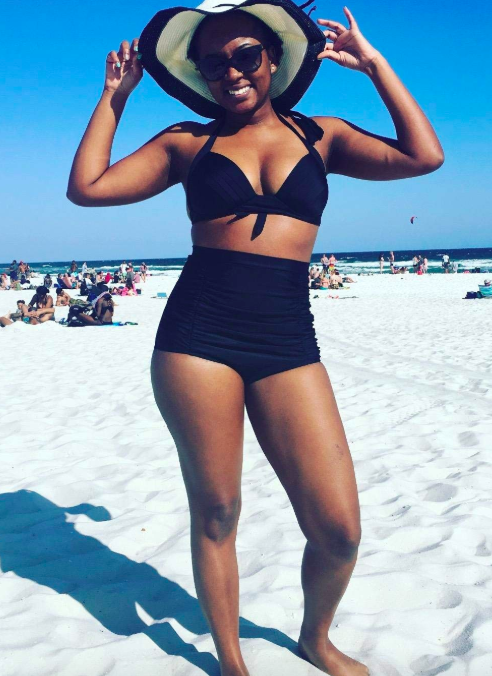 A ruffled off-shoulder top and bikini bottom because it's almost SPRING BREAK Y'ALL and why not treat yourself to a moderately-priced two-piece sure to inspire some oohs and ahhs from fellow beachgoers? 21. A bikini set designed with removable padding (plus ties at the neck and back!) to ensure ample support for your breast friends. 22. A high-neck top and bikini bottom available in a bunch of gorgeous prints that are truly ~tie dye~ for (because yes, the below suit is also available in a fun tie dye print). 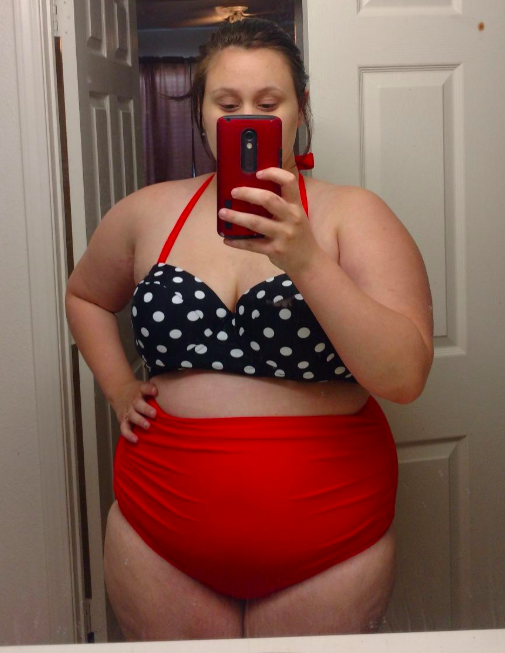 Promising review: "This is my new favorite bikini! The top provides great coverage (I wear a size DDD cup) and I got a ton of compliments on this. Such a great bikini, especially for the price." —Ashley B. 23. A bra bikini top and hipster briefs you could buy separately because — GASP — sometimes you're not the same size on top as you are on bottom. Shocking, I know! This customize-your-suit options allow you to snag a bikini with the perfect fit for YOU. 24. A ruffled off-the-shoulder set perfect for lounging poolside, living your best Hakuna Matata life. Worries? You have not one in the world!